October is National Disability Employment Awareness (NDEAM) month. 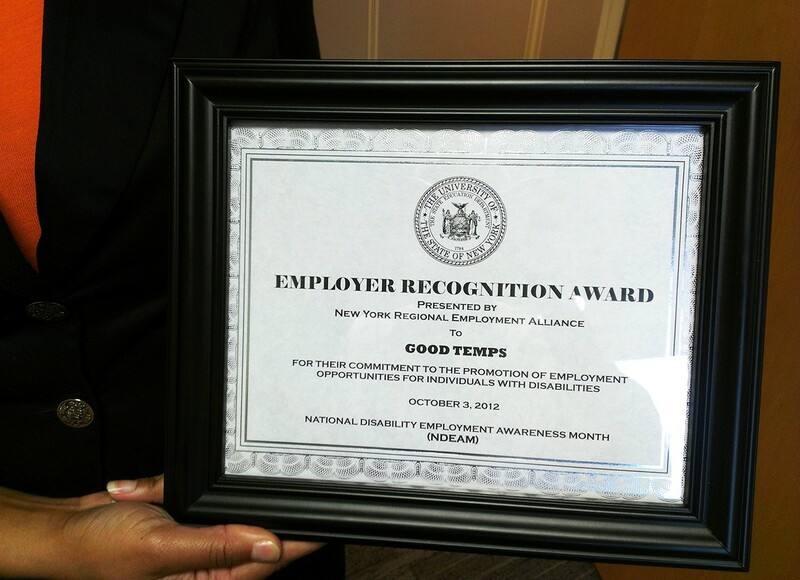 October is National Disability Employment Awareness (NDEAM) month, and GoodTemps was just honored with an award from the NY Regional Employment Alliance for our mission of helping people with disabilities find employment. Goodwill NYNJ - Autism Awareness Month! Goodwill NYNJ & Google Team up!